I am a little opposite in that I find it easier to get myself to the gym in the winter than I do in the summer. So normally winter time are my “shedding” months, instead of getting a little bit of winter weight to deal with in the spring I tend to eat a bit healthier and exercise a bit more frequently. Just because I generally make healthier choices in the winter doesn’t mean I am not often taunted by delicious carb, dairy and fat filled foods that are sure to warm my belly. It can be tricky convincing your body to eat a salad when it is -30 Celsius outside, especially when your body it telling you to eat another 4 servings of that hash-brown casserole you love so much, mmmm comfort. 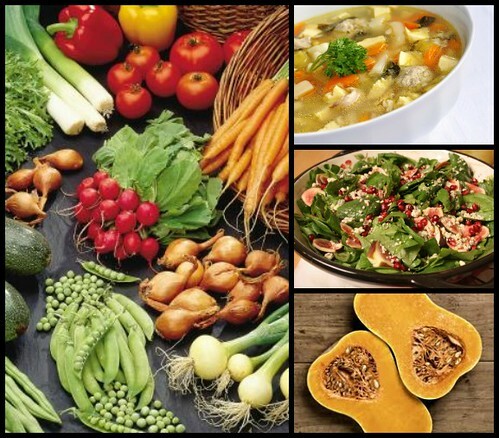 But I digress…with winter being a bit of a struggle for some of us I figured I would offer up some delicious and satisfying healthy winter alternatives to your favorite heavy winter meal. 1. Craving mashed potatoes slathered in gravy? Try to switch it up by serving up some mashed cauliflower reducing your carb intake, or if that really won’t do try cooking your potatoes in sugar free, low sodium chicken or veggie broth. Cooking the potatoes in the broth will up the flavor, it also helps you cut out all dairy because you can just use the same broth to help during the mashing process. 2. Wants some tasty fried or roasted potatoes? Try to switch it out for roasted root veggies or sweet potatoes. Yes, they are still starch based but root vegetables such as squashes, sweet potatoes, turnips, etc are higher in minerals and vitamins than potatoes. They also have a variety of delicious flavors, these flavors aren’t only just delicious they will help your brain realize you are eating, and are more likely to help you stop when you are full. 3. Want that warm belly feeling that only cream of chicken soup will bring? Try and switch your soup for a broth based soup. This small change can help cut out fat and calories from your diet where maybe you thought you were already. Broth based soups, because they aren’t dairy based, are lighter, easier for your body to break down and generally lower in fat. Also they are so easy to make from scratch, so try getting creative in the kitchen. 4. Looking for something with a kick? Swap out your traditional beef, bacon and beer filled chili for something a bit healthier. Instead of red meat test out a ground chicken or turkey recipe, trust me you won’t be able to tell a difference and your body will thank you for it. 5. Craving a salad but it’s just too cold outside? Try making up a salad with both hot and cold components. Maybe toss in some roasted sweet potatoes and hot chicken or fish on a bed of spinach with a plethora of other vegetables. Or maybe go all hot a nice bowl of warm quinoa salad might satisfy your craving for something fresh and vegetable filled while keeping you nice and toasty. 6. Want a delicious winter latté from Starbucks? Swap your regular dairy filled coffee treat with a green tea. If that isn’t enough of a caffeine jolt for you maybe try out an American with a dash of cinnamon, the caffeine will keep you going, and the cinnamon will help to balance your blood sugars and stave off those cravings for sweets. Hope these tips help you stay on track with your goals, I know I sure needed the reminder after the holiday season. What do you do to keep your winter meals fresh, healthy and delicious? This entry was posted in Food, General and tagged carbs, clean eating, food, healthy, squash, warming up, winter by healingginger. Bookmark the permalink. These are some awesome ideas! Thanks for sharing! One more that came to mind while reading the soups one… is that you can still have a soup that feels like a “cream of ___” soup. Just make the base be a pureed veggie soup to give you that creaminess you are craving… i.e. : start with a pureed squash, carrot, or broccoli soup.